Where aroma of Miso Soup swirls around to stimulate the appetite of the day. This is an oasis in the middle of the city. Our one acre of property is nestled with big trees, fruit trees, flowers, chickens and wild birds. Amidst the raging noise and warped lights of the city, our hours stretch into tender nights and days. We have a world that repairs our closeness to nature and rejuvenates our worship to life. One time, a peacock flew in and kept company with our family. Life here is simple and complex. Residents bring in their legacy and history with them. In this way, we recognize their identity and we like to keep them. They all blend in our place well. They keep their "BUTSUDAN" to talk to their ancestors and loved ones in their lives; a tradition that re-establishes their ties to their forefathers. Here, they sing of fleeting time and constancy of memories. 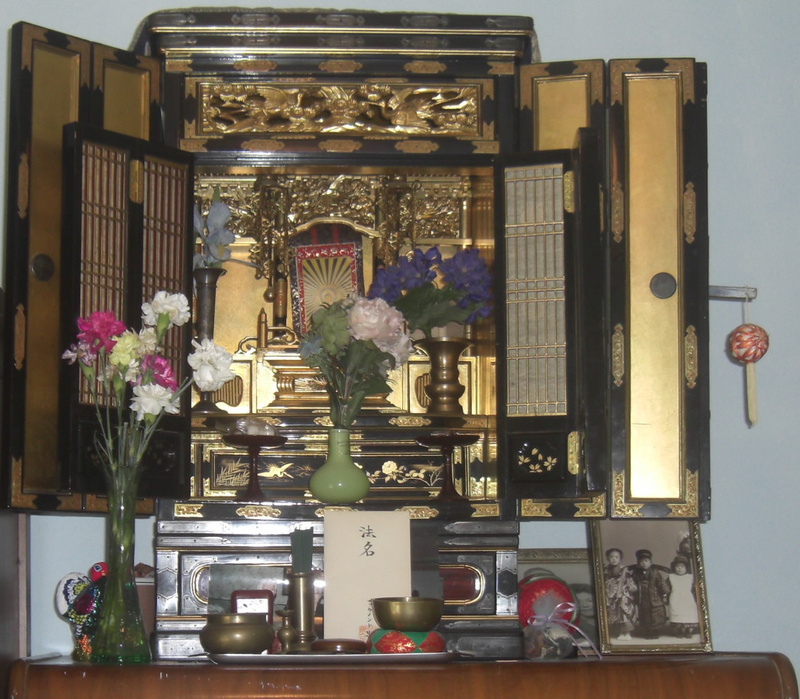 We have an extensive library of Japanese books and videos, and other materials to nourish the mind. It is our duty to revive the sharpness of the mind. We speak mom's and dad's language: Japanese. When we get old, we get more comfortable with the way life used to be. At American River Care Homes, we build your dream lifestyle.